Many people still have a very one-sided and fixed image of what yoga is. If you have landed on this page, you are probably aware that in terms of physical (asana) practice, yoga consists of dozens of different styles. Have you figured out yet which practice suits you best? One of my favourite ways to illustrate there are various types of yoga is to compare it to sports, such as athletics or ball sports. Rugby is hardly the same as tennis for example, yet they are both ball sports. Similarly, the word yoga describes a collection of different practices. Though the ultimate goal for all yoga styles may be the same – reach enlightenment of course – there are many different ways to practice it. Each style has its own specific benefits. Below I describe the main yoga asana styles, grouped by the most common reasons why people turn to yoga. Are you looking for stress- and physical tension relief? 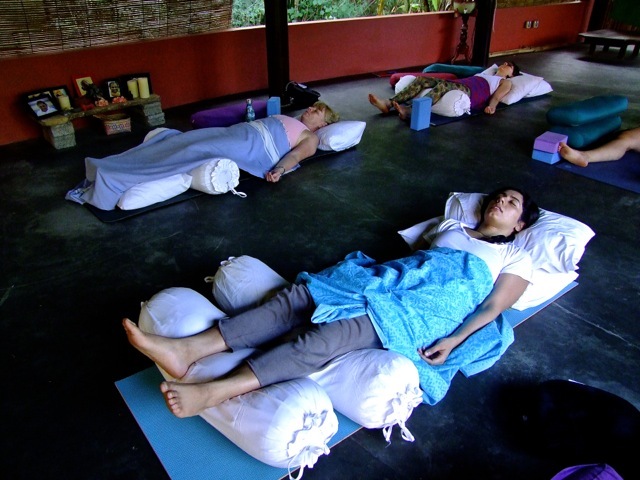 Yin Yoga and Restorative Yoga are your answer. For either you do not need to be flexible or trained in any way. Experienced teachers can accommodate students with chronic or restrictive conditions such as multiple sclerosis, rheumatoid arthritis or scoliosis. People with these conditions would enormously benefit from these types of yoga. Restorative is super, super relaxing. It is accessible to anyone who is able to sit and lie down. The poses are all on the floor, with plenty of bolsters, blankets and other props to support you. The objective is to relax the entire body and as much of the mind as possible by remaining in very comfortable poses for several minutes. The parasympathetic nervous system kicks in, allowing the body to restore and the mind to truly rest. It’s pure bliss for anyone who grants themselves the time. Yin is a gift from heaven if you are looking to release tight joints and relief from chronic aches. It is also very effective to cultivate some more flexibility. Yin Yoga is the perfect complementary practice for those who usually exercise hard such as runners, weight lifters, etc. Yin is aimed at restoring connective tissue health, opening up joints and releasing energy that is locked up in tight muscles (or tight minds). Strength and stamina are useless if you can’t move. Yin Yoga promotes flexibility and therefore mobility. The poses are mostly on the floor and require full relaxation of the muscles with limited prop use. The aim is to allow the body to stretch for 3 to 8 minutes in each pose. This way you create more opening and release than you ever would in daily life. Are you looking for a dynamic practice to work on strength and stamina? Ashtanga Yoga and Vinyasa Yoga are probably your thing. Both classes build strength, stamina and flexibility. Even when you are a beginner, these styles are accessible for you. Still, it’s a good idea to check whether the level of the class is for beginners or more experienced students. Ashtanga is for those who enjoy practicing regularly. You will sweat, for sure. It involves a fixed sequence of dynamic Sun Salutations followed by standing and seated poses whereby muscle activation and postural alignment are important. Once you become familiar with the sequence and the asanas (postures), you can really get into the groove, focus on the breath and your stability as you hold each pose for five breaths. That’s when the practice becomes a moving meditation. Don’t think that it ever gets boring. Though the poses may be the same each class, the challenges that your body and mind face are different each practice. 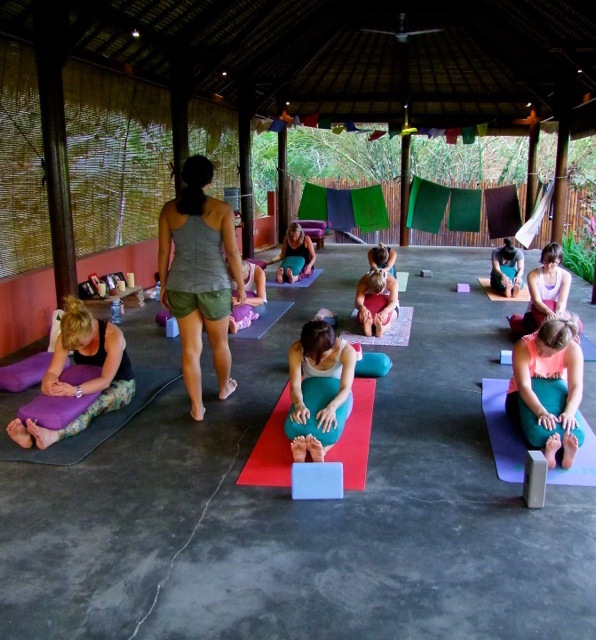 If you like to measure progress and fare well with routine and discipline, Ashtanga yoga is perfect for you. Great for hyper-flexible people who need to cultivate strength as well as for strong individuals who need to lengthen their muscles. 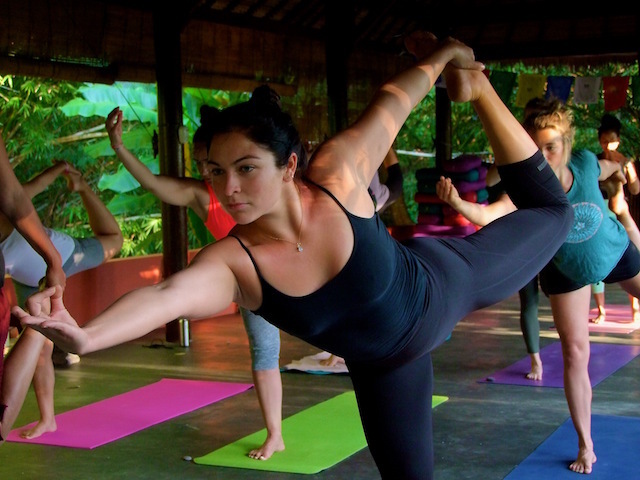 Ashtanga yoga is also very suitable for people who cannot always make it to a class. Once you have memorised the fixed sequence, it’s easy to practice in your own time at home or wherever you are (hotel rooms, empty meeting rooms, you name it). This self-practice is encouraged during Mysore style Ashtanga classes. Each student practices the sequence at their own pace. The teacher simply holds space and walks around helping students individually with adjustments and assists. Vinyasa is for the creative souls among us. Though based on Hatha and Ashtanga yoga, each class is a different choreography of poses that flow from one to the next. You flow from pose to poses and the transition from asana to asana in sync with the breath makes this practice special. Vinyasa Yoga can vary wildly from teacher to teacher. It is worthwhile checking out different classes to find the one that resonates with you. This style of yoga is the most popular as it complies with all the “required” elements of the modern world: it looks good, it’s a workout, it’s always different so not risk of getting bored, there is usually music so no silence to be confronted with and you get to try a lot of funky poses once you get to the more advanced levels. Vinyasa yoga is fun! Are you a novice looking for a foundational practice to promote overall health? Ashtanga Yoga for beginners or Hatha Yoga are what you should be looking for. As described above, Ashtanga Yoga is based on a fixed sequence so ideal for classes set up for beginners. Experienced teachers know how to explain the poses to you step by step, building up your knowledge of alignment and correct posture as you go. You intimately get to know your body, its strengths and its weaknesses. Ashtanga is an excellent basis for other yoga practices and improves your fitness immensely. Hatha is often considered a great starting point for beginners. Poses are held for a long time (often eight breaths of longer) so you have time to assimilate what your body is doing. There are no complicated or fancy transitions between postures. Traditionally-oriented teachers also incorporate plenty of pranayama (breathing exercises) and meditation in the practice. Make no mistake, Hatha Yoga can be very challenging the moment the poses become even only a little bit more complex, since the technique is to hold them for a while. And what about all those other classes? 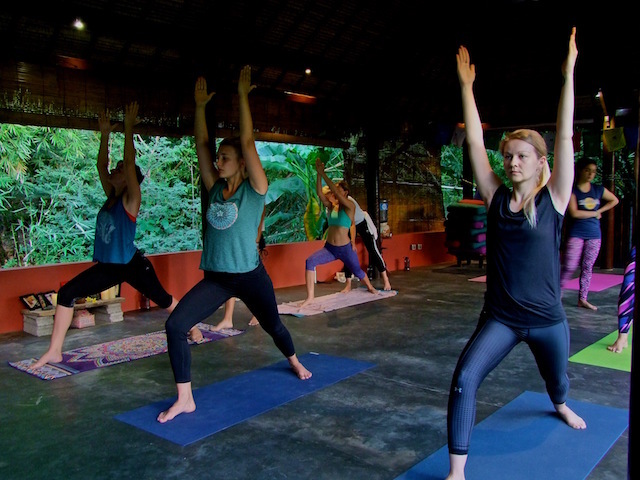 The above-mentioned styles are the most common variations of yoga taught in general yoga studios and gyms around the world. Depending on the teacher, they can vary in degree of difficulty. There are of course many other forms of yoga, though some of them are simply modern names for traditional practices. Then there are the classes in a style adapted by an individual teacher or school. You might have heard of Power Yoga, Flow Yoga, Hot Yoga, Gentle Yoga, Dru and many others. Most of these forms of yoga are somewhere in between Ashtanga, Hatha and Vinyasa/ They can incorporate other practices such as meditation and Pranayama. We would love to hear which style of yoga you practice. Drop us a line in the comments below to tell us what special styles you have encountered around the world.